I am having an issue with an Item showing up on the Planning Worksheet when there are no orders in the system and Qty on hand is above the reorder point. No forecast setup. There is nothing tying up the inventory. Stockkeeping is not setup on this item. From what I can see, it is planning to the maximum quantity of 1876 because the reordering policy is set to "Maximum Qty", not reorder point. ​​NAV is trying to maintain the inventory between Reorder Point & Maximum Inventory. 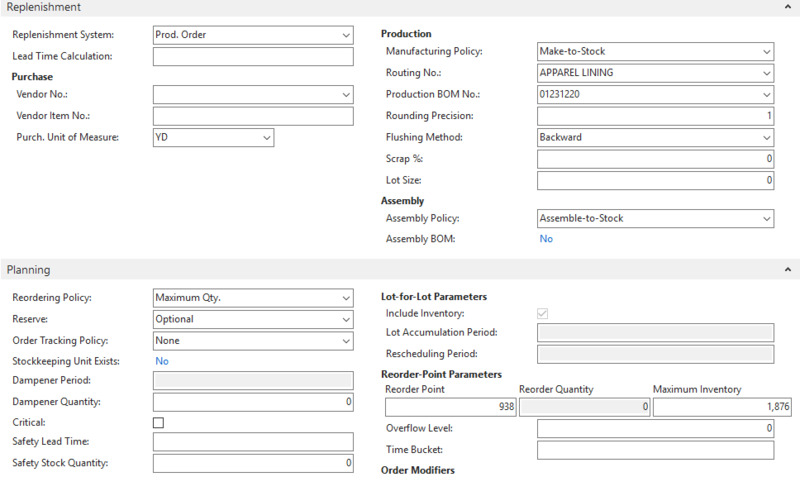 If your inventory is below the Reorder Point, then NAV will recommend a replenishment order. The Reordering Policy field on item cards offers four different planning methods that determine how the individual planning parameters interact. 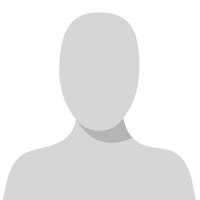 One best-practice foundation for selecting a reordering policy is the item's ABC classification. 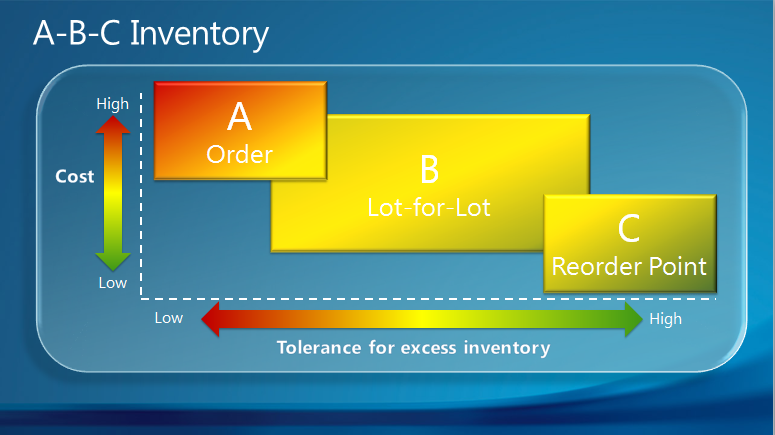 When you use ABC classification for inventory control and supply planning, items are managed according to three different classes depending on their value and volume relative to the total stock. This item still shows up on the planning worksheet even is I set the qty to 10000. it is acting as if the there is 0 on hand. OK, Figured out the issue with the help of Ben at Accent Software. The problem is on Manufacturing setup, we have Components at locations set to Location A while the Item in questions qty on hand is in Location B. The planning worksheet was looking only at location A for QTY on hand. The solution was to setup a Stockkeeping Unit for that Item in location B with the planning for that Item. I removed the planning off the item card.